Ayana Miller is an experienced engineer advising on privacy and data protection. A graduate of The College of William & Mary and Carnegie Melon University, respectively. She is the founder and CEO of PRIVILGD, a boutique advisory firm specializing in privacy and data protection for high net-worth individuals. 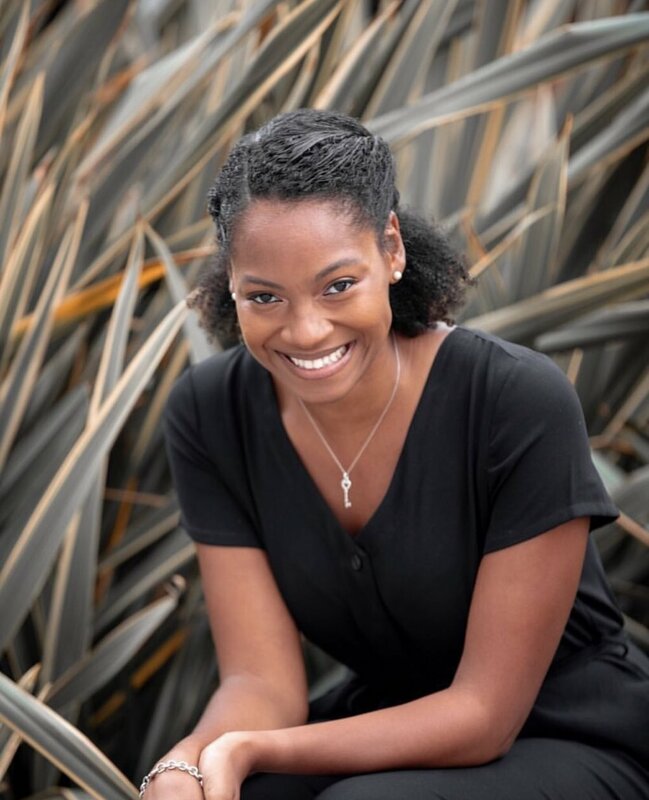 Ayana has made a name for herself in the tech world while working for social media giants such as Facebook and Snap Inc.
Ayana: My dad is a military man. I was born in Pittsburgh, Pennsylvania and we moved to Hampton Roads, Virginia when I was young. Growing up in Newport News, I saw my environment and I felt like I was supposed to be doing more. I was always the kid in the classroom studying like a nerd haha. I was also a social butterfly so I ended up being president of my class. When it came time for college, I was lucky enough to get a full ride to attend William & Mary and from there I went to grad school. When I applied for school, I didn't even know the difference between undergrad and grad school. I am a first-generation college student. What did you study at william & mary? Ayana: In undergrad, Government. Then I went to Carnegie Mellon University on a full ride. I happened to get into this program called PPI, a public policy in international affairs. It's a great program for juniors and it paid me to go to grad school. With that program you do a year in Pittsburgh and a year in DC. I liked it because I had never worked, but this program required me to get a full-time job my second year. They helped me find a job and everything! In retrospect it was very smart of me. I had this job in consulting and I reasoned to myself, “There's a lot of recruiters coming to Carnegie Mellon looking for consultants in federal government and I can always go back to the local government if I want because I have federal government on my resume.” I saw it as a detour in a strategic way. I went to go work for a company called Myer, they are a federally funded research and development center and that was my first job for about four years. Where do you see the challenges down the road for data? Ayana: There are a lot of topics around artificial intelligence and machine learning. A lot of people think of AI as this scary robot or something. That's not what it is. It's your data being regurgitated combined with other people's data to give you more personalization and experiences but it's based on an assumption. It's based on a formula so there's opportunity for bias and predictions that are based on factors that may not be completely accurate. It can get unethical very quickly. AI machine learning is contingent upon data collection and huge data sets. Machine learning is hungry for data and so what that creates is an incentive not to ever delete any of your data because the more history it has, the more accurate the predictions are going to be. My biggest fears are that we will get to a place where there's predictions made about you already like, say, your credit score. how is your company PRIVILGD moving the tech industry forward? who are the mentors who've shown you the ropes? Ayana: Yeah! I have a few mentors. There was a woman early in my career at Myer who really was that mentor and I also would say, sponsor. Her name was Lisa Bennett. She was an alum of Carnegie Mellon who helped me get my first job. She wasn't my direct manager but she definitely helped me earn positions and gain visibility to higher leadership. There’s a difference. I'm a huge advocate for helping others, especially women and women of color to talk about sponsorship. A mentor is someone who can help you think about your career, like a coach, that will give you guidance. A sponsor is someone who's going to be in the room to advocate for you and get you the stretches, like assignments and visibility you need. A mentor may not have that capability. Ayana: One of them is Sheryl Sandberg when I went to Facebook. I just admired that woman so much. So many things she said and nuggets just continued to resonate with me. I know it’s very cliché now, but I really found it to be important in the corporate world to advocate yourself. No one else is going to do it and that was a very strong message. She also had this idea internally about having hard conversations. She encouraged us to have hard conversations! I have a lot of respect for Malcolm X. I think he influenced a lot of my thinking about being black in America today and what that means, especially when it comes to economic empowerment. What would you say your passion is and when did you know? Ayana: I'm very passionate about people. I love teaching, connecting, and helping people find their purpose. What Was the environment like at Facebook? Ayana: It was very open. Everything you read on Glassdoor about it being one of the best companies to work for, it's absolutely true. A phenomenal environment, supportive co-workers, very minimal politics and it's a huge company. They do a lot to support their employees and they're always thinking about people. What’s been the biggest challenge as a black woman in tech? Ayana: The hardest part is probably just having your own mental strength and agility. Yes, there are those days I don't want to go in. It can feel like an uphill climb. I make jewelry too and I made this bracelet that says “Love Ayana.” It's my reminder to do self-love and self-affirmations. You have to be confident in those environments. There are definitely days when I'm the only woman in the room and the only person of color. I don't even have time to care. what frustrates you the most about today's culture? Ayana: I think it's just that not everyone has an awareness of how much their data means and how much they should value it. It's precious and it's the only way that this whole system works; this ecosystem, apps, and social networking. You're putting that information in the hands of companies and people don't always appreciate that. If we can start thinking about content differently, by asking how do you pay me for this data that I'm sharing, it's extremely valuable. Johnny: When I'm going to the App Store and all these apps are free, it's because I'm actually paying them through my data? Ayana: Yes, they would not run if they didn't have the algorithms to know what to serve you. On Amazon, for example, they can give you suggestions for products because they know other people who have searched for similar products. That costs them nothing except you using it. What company do you feel is getting it right? Ayana: I really love Apple, they care about user data and it's arguably easier for them because they're working in hardware but they're starting to make moves in the software space with things such as Siri. They don't have to send information back up to the servers so you can continue to control your data. That's also important when you're dealing with law enforcement. Things like being able to have a code and unlock it with your fingerprint is important. There are very few applications that are doing it perfect and there's a couple reasons for that. But it's very hard because everyone is following their own rules. The technology is moving faster that we can create policies for. It's the wild wild west. Ayana: I have been reading a lot of autobiographies, especially as women of color. I just read “The Bomb Life” by Claire Sulmers. She graduated from Harvard, started a fashion bomb daily, and also has a social media presence. I tried to get a feel for who's out there especially as I grew of my company, PRIVILGD, trying to understand the particular needs of celebrities. What advice would you gIVE TO SOMEONE LOOKING TO FLOURISH IN TECH? Ayana: You have to pick one particular topic. A lot of people that I talk to want to work in tech and they're not sure what to do. The reason I have been successful is because I have a very specific focus. The tech industry, they love tech enthusiasts, but they also love creators and so you have to figure out what you're good at. You can become an expert in one thing. It doesn't necessarily have to be tech-related, if you're good at financials, become the expert in that. Tech companies are going to want you to come work for them. I just happened to be in privacy and working on that. But I don't code; I could go to school for coding. I'm not a traditional engineer in that sense because I develop deep expertise in an area where there's not a lot of policy and legislation. I've been able to navigate the space well and be an expert. Not just because nobody’s there; there’s are a lot of people in this area. Ayana: You can follow me @AyanaRMiller. I'm also very active on LinkedIn and try to answer all my messages. Interested in learning more or connecting with Ayana?